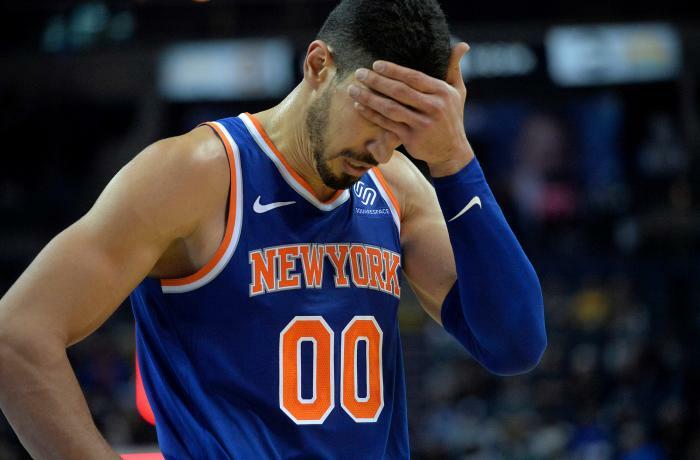 Enes Kanter, a centre for the New York Knicks, did not play yesterday in London. Turkish prosecutors issued a warrant for his arrest as a member of an "armed terrorist group". For Ankara he belongs to a network of Gülen supporters. The player slams the Turkish president for hunting down and arresting those who criticise him. Ankara (AsiaNews/Agencies) – Enes Kanter, a Turkish professional basketball player for the New York Knicks in the US-based National Basketball Association (NBA), has refused to play a match outside the United States that he might be arrested (or killed) by Turkish agents. Kanter, who plays at the centre position, said he skipped last year's Human Rights Foundation Freedom Forum in Oslo for security reasons as well. "I receive many death threats,” he writes. “I used to love walking around New York City alone, but I can't do that anymore. My friends and family in Turkey could be arrested just for talking to me". "Anyone who speaks out against him [Erdogan] is a target. I am definitely a target. And Erdogan wants me back in Turkey where he can silence me," the 26-year-old Turkish standout explained. For the Knicks player, President Erdogan uses global law-enforcement group Interpol "as a tool for having his critics arrested in other countries". "I can't risk travelling overseas. Even if I did, I wouldn't travel this week to Britain, where I easily could be kidnapped or killed by Turkish agents," he writes. The basketball star rejects the accusations against him. Noting Turkey’s current "tough situation” and the ongoing purges, he writes that “Erdogan thinks free speech is dangerous, and he accuses critics of being terrorists." Since the failed coup in mid-July 2016, when President Recep Tayyip Erdogan’s power was threatened , the Turkish government has pursued a witch hunt against hundreds of thousands of people – soldiers, judges, teachers, intellectuals, ordinary people – accused of association with Fethullah Gülen. The latter lives in exile in Pennsylvania (United States).